In 2014 I was an attendee at the KTK conference but in 2015 I presented on a cruise boat for students, our presentation included talks about the estuary. In 2016 I was invited to be on the expert panel and to be a guest speaker at the Gala Dinner. I felt awesome because I knew the students learnt a lot and also had fun. It was a very original idea that was pulled off with perfection. Many of the students said that it was one of their favourites as it was a new experience for themselves. I remember getting to meet many people who I have herd off and grown to admire but haven’t met. I met a lot of community leaders who in their own respects contribute to various changes in Mandurah and Western Australia. That was the best part for me. Did you learn anything new at the conference/s that have helped you later life? I learnt that it is possible, no matter how high the hurdle you can always find a way to get over it and accomplish something that your past self originally doubted. It has made me be a better leader and have a louder voice along with a strong stance to push the barriers of any situation. 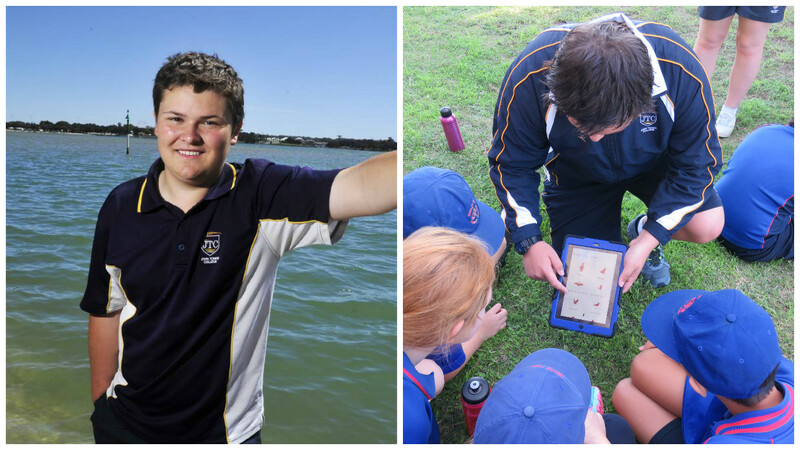 After the 2014 Kids Teaching Kids conference I started a not for profit organisation called Estuary Guardians with the support of John Tonkin College and Kim Davies. We have continued to grow and currently have a team of twelve who want to be involved in one of the fastest growing groups with a focus of the environment. The purpose of the group is to educate the young, adults and seniors. The motto is Respect – Protect – Connect. We have a Facebook page and a website where people can contact if they have any questions.